Boag, S. (2017). Metapsychology and the Foundation of Psychoanalsysis: Attachment, neuropsychoanalysis and integration. London: Routledge. Boag, S., Brakel, L. A. W. & Talvitie, V. (Eds.)(2015). Psychoanalysis and Philosophy of Mind: unconscious mentality in the 21st century. London: Karnac. Boag, S., Brakel, L. A. W. & Talvitie, V. (Eds.)(2015). Philosophy, Science, and Psychoanalysis: a critical meeting. London: Karnac. Boag, S. (2012). Freudian repression, the unconscious, and the dynamics of inhibition. London: Karnac. Book review. Boag, S. & Tiliopoulos, N. (Eds.) (2011). Personality and Individual Differences: Theory, Assessment and Application. New York: Nova. Boag, S. (Ed.) (2008). Personality Down Under: Perspectives from Australia. New York: Nova. Richardson, E. N., & Boag, S. (2016). Offensive defenses: The mind beneath the mask of the dark triad traits. Personality and Individual Differences, 92, 148-152. Boag, S. (2015). Personality assessment, ‘construct validity’, and the significance of theory. Personality & Individual Differences, 84, 36-44. Abstract. Colace, C. & Boag, S. (2015). Persisting myths surrounding Sigmund Freud’s dream theory: a reply to Hobson’s critique of the scientific status of psychoanalysis. Contemporary Psychoanalysis, 51, 107-125. Open access available here. Boag, S. (2012). Identity and disorders of the self. ACPARIAN, 4, 12-13. Boag, S. (2006). Freudian repression, the common view, and pathological science. Review of General Psychology, 10 (1), 74-86. Abstract. Discussed in Advances in the History of Psychology here. Boag, S. (2012). Freud, patricide, and the birth of the hero. [Review of the book The Letters of Sigmund Freud and Otto Rank: Inside Psychoanalysis]. PsycCRITIQUES-Contemporary Psychology: APA Review of Books, 57, 39. Available here. Discussed here. Boag, S. (2011). Transcending the body-culture dichotomy in Jungian thinking? More questions than answers [ Review of the book Body, mind, and healing After Jung: A space of questions ]. PsycCRITIQUES-Contemporary Psychology: APA Review of Books , 56 (31). Boag, S. (2011). Freud and free-will: Fact, fantasy, and philosophy [Review of the book Freud, the reluctant philosopher]. PsycCRITIQUES-Contemporary Psychology: APA Review of Books, 56 (6). Boag, S. (2010). Philosophy and psychology: need there be estrangement? [Review of the motion picture Examined Life ]. PsycCRITIQUES-Contemporary Psychology: APA Review of Books, 55 (29). Boag, S. (2009). Does psychology really need another personality textbook? [Review of the book Personality theories: Critical perspectives]. PsycCRITIQUES-Contemporary Psychology: APA Review of Books, 54 (41). Discussed here. Boag, S. (2009). Cognitive Epidemiology and the challenges of understanding the causes of mental ability across the lifespan [Review of the book A lifetime of intelligence: Follow-up studies of the Scottish Mental Surveys of 1932 and 1947]. PsycCRITIQUES-Contemporary Psychology: APA Review of Books, 54 (20). Boag, S. (2009). 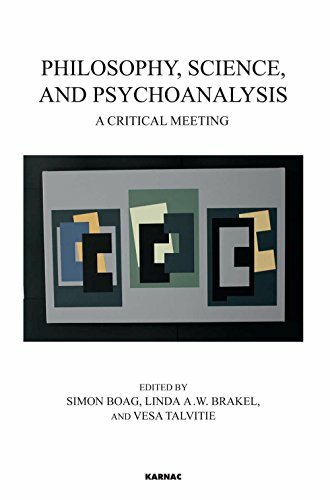 Reflections on mentalization and a future for psychoanalysis [Review of the book Mind to mind: Infant research, neuroscience, and psychoanalysis].PsycCRITIQUES-Contemporary Psychology: APA Review of Books, 54 (14). Boag, S. (2008). How far have we come since the Age of Enlightenment? [Review of the book Brain, mind and medicine: Essays in Eighteenth-century neuroscience].PsycCRITIQUES-Contemporary Psychology: APA Review of Books, 53 (26). Boag, S. (2008). 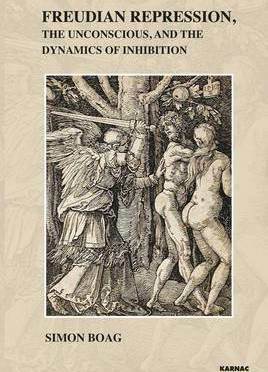 Re-discovering the embodied self [Review of the book Passions and tempers: A history of the humours]. PsycCRITIQUES-Contemporary Psychology: APA Review of Books, 53 (8). Boag, S. (2007). Decoding the meaning of transference and countertransference: An integrative perspective [Review of the book Transference and countertransference in non-analytic therapy: Double-edged swords]. PsycCRITIQUES-Contemporary Psychology: APA Review of Books, 52 (51). Boag, S. (2007). Maintaining the illusion of love [Review of the book Demystifying love: Plain talk for the mental health professional]. PsycCRITIQUES-Contemporary Psychology: APA Review of Books , 52 (31). Boag, S. & Turtle, A. M. (2005). Psychology in the Public Eye: The Cartoonist’s History of Psychology. Available here. Please contact me if you would like copies of any of the above papers.